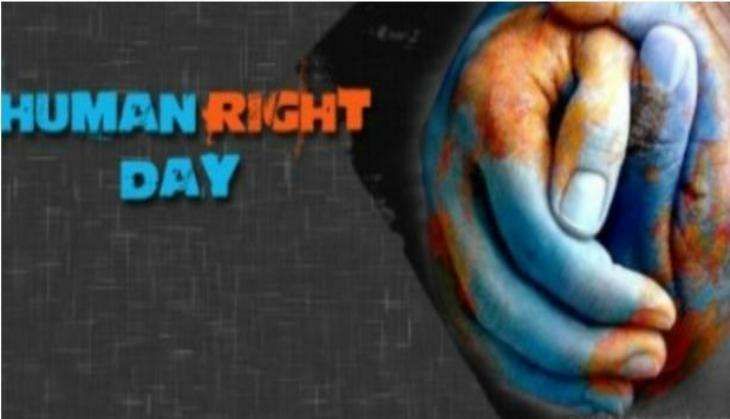 Human Rights Day is being celebrated today to commemorate the Universal Declaration of Human Rights. The declaration was adopted and proclaimed by the General Assembly of the United Nations in 1948 as the shared standard yard stick to protect human rights across the globe. It recognises inherent dignity and the equal and inalienable rights of mankind as the foundation of justice, freedom and peace in the world. The slogan of this year is stand up for someone's rights today which aims to re-emphasise how important it is to live in peace and harmony, compassion and concern for each other's rights with respect towards the idea of mutual co-existence. In the run up to the celebration of Human Rights Day, the National Human Rights Commission, NHRC has organised a series of events. Besides the release of some NHRC publications on the occasion, prizes of 1 lakh, Rs 75,000 and Rs 50,000 will be given for the three best short films on human rights. Some short films will also be screened on the occasion. During the last 23 years of its existence, the Commission has endeavoured to promote a culture of human rights. It has made a number of interventions on key issues of human rights, which include, among others, issues of bonded and child labour, prison reforms, rights of persons with disability, illegal clinical drug trials, pricing of drugs, manual scavenging and sanitation, human rights of women.